The best part of any conference is the networking opportunities. During the conference, we made sure to participate in group discussions, panels and ad hoc conversations with industry experts. We also connected with professionals in higher education IT, as well as shared our insight with attendees during concurrent sessions and the Technology Trend panel on enterprise management. While the sessions and panels were incredibly informative, there were plenty of great tech demos happening at the conference. New technologies are making their way onto college and university campuses, and we were thrilled to see innovations in areas such as 3D printing, mobile apps and digital teaching platforms. A major focus at the conference was system integration and consolidation. Higher education IT professionals expressed the need to centralize information and records within their organizations, due in part to cybersecurity concerns. Automation tools, specifically electronic forms, were described by many attendees as a necessity in higher education. We discussed how e-Forms can help colleges and universities streamline internal processes, eliminate silos, maintain security and communicate between different applications across campus. We were grateful not only to attend Campus Tech 2016, but also to join the conference’s Tech Trend panel on enterprise management and to host a breakaway session on electronic forms. We look forward to providing more informative content in our upcoming user groups, workshops, trade show appearances and more, and can’t wait for Campus Tech 2017! 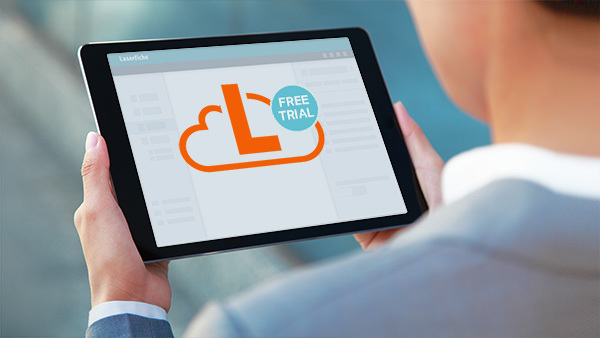 In the meantime, feel free to download the Laserfiche Forms brochure to learn why e-Forms are key to improved service delivery and simplified system maintenance in your institution.